Join CGA for the best pricing and most course options. For all students entering 4th thru 8th grade in Fall 2013. Our classes frequently fill. You will have an opportunity to wait list for a full class on the registration form. Full classes are listed at the bottom of this page. ONLINE REGISTRATION expires on July 19, 2013 at midnight. If you have questions, please contact Aanchal at mosaic@coppellgifted.org. CGA Members – $90 one course, $155 two courses (for same student in the same week) plus any material fees. Non-members – $105 one course, $185 two courses (for same student in the same week) plus any material fees. Schedule: see below or click here for a printable version. Please note: In the chart below, the numbers 4 to 8 indicate the grades that can take that course. Grade is based on Fall 2013. Many of our classes have prerequisites — please check the course description for details. Please remember that our courses frequently fill; scroll to the bottom of the page to see a list of full classes or see the blue shading below (the chart is updated regularly). To print course chart, please click here: 2013 MOSAIC chart. Images and articles below are from our June classes. For more information, click HERE. This course provides students with a fun interactive look at the world mobile video game design and development. Students enrolled in this course will learn how to publish games to their favorite Apple® or Android™ devices. The SMASH HIT class of 2012 is BACK in 2013. Get ready to grab a bag of balloons and learn how to create animals & figures with professional balloon artist Christopher Lyle. These balloon creations are simple, commercial, and easy to make. You will be able to impress and entertain friends and adults in no time. Whether you are a complete beginner or just looking to increase your repertoire from last year, this is the class for you. It has been said that there are 3 types of lies. To paraphrase Benjamin Disraeli there are, “Lies, Despicable Lies, and Statistics”. Despite this, statistics lie at the heart of most sports, especially baseball. Critical decisions are often made based upon statistics, even though what they tell us can be confusing or even misleading at times. What do they all really mean anyway? Explore the numbers in baseball with us as we play Fantasy Baseball for a week and use those very same statistics to make our decisions and try to guide our teams to victory! Pick a card…any card! 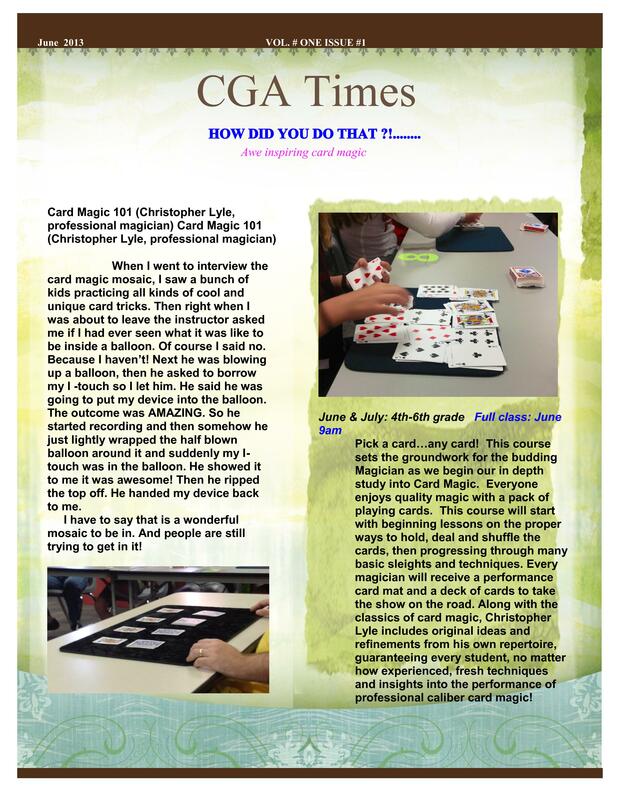 This course sets the groundwork for the budding Magician as we begin our in depth study into Card Magic. Everyone enjoys quality magic with a pack of playing cards. This course will start with beginning lessons on the proper ways to hold, deal and shuffle the cards, then progressing through many basic sleights and techniques. Every magician will receive a performance card mat and a deck of cards to take the show on the road. Along with the classics of card magic, Christopher Lyle includes original ideas and refinements from his own repertoire, guaranteeing every student, no matter how experienced, fresh techniques and insights into the performance of professional caliber card magic! 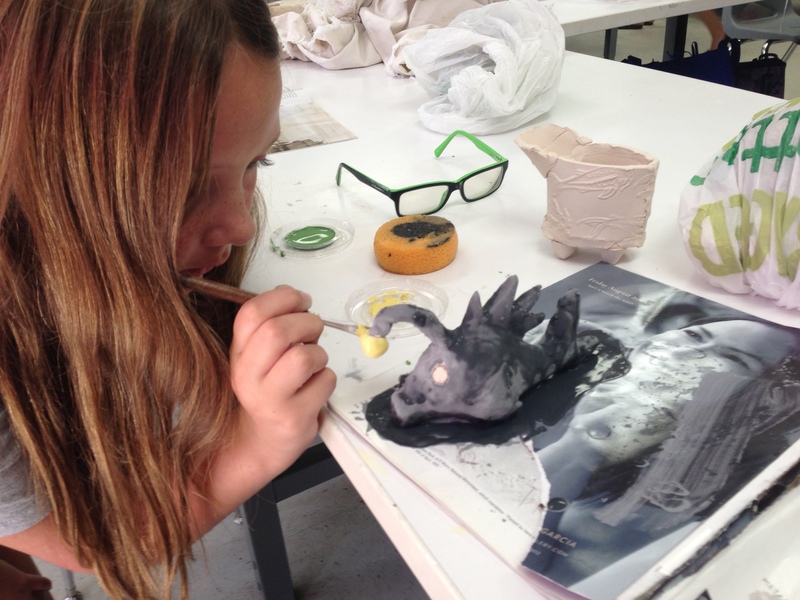 In this workshop students will explore the hand-building techniques of pinch, slab and coil with clay. They will make several projects during the week which can be picked up at a later date (will be announced during the class), once the kiln firing process has been completed. Students who wish to glaze or paint their projects will have an opportunity to do so at a later date to be announced in class. 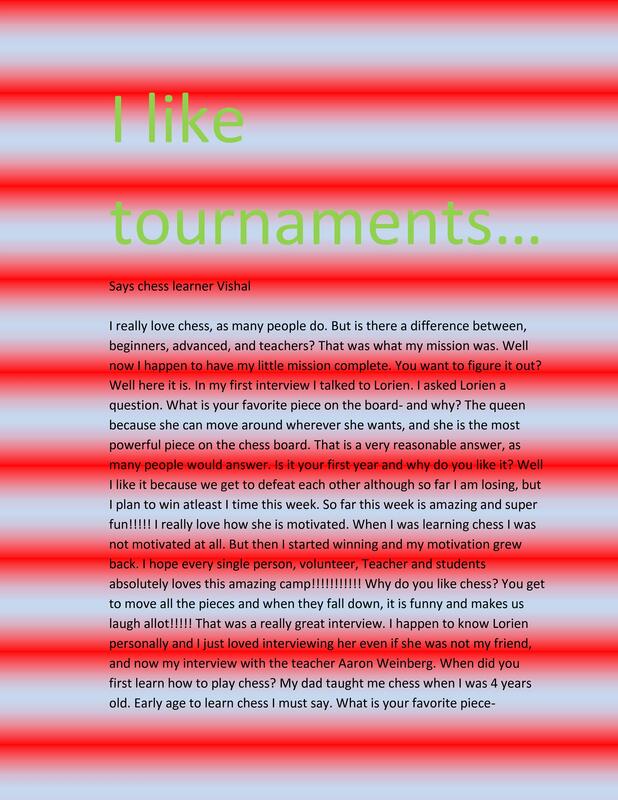 From beginning to tournament preparation, participants will learn the many paths to victory that make chess life-long fun. Beginners will solidify their chess fundamentals by learning tactics, notation and exciting chess variants designed to teach the essence of attacking and defending (bughouse, monster chess, take-me). Advanced players will focus on opening lines to defeat their opponents early, advanced tactics, and endgame strategy. In addition, both groups will learn tournament-style rules and time management utilizing chess clocks, culminating in a competition at the end of the week. Don’t “crack” under the pressure of protecting your precious eggs in two different physics challenges! Designers will create two separate devices to protect an egg from dizzying heights! The first challenge will involve creating a device with a limited quantity of materials and the other will be an “open” competition using materials of your choice, but the egg has to be exposed! Don’t let these challenges ‘scramble’ your wits! Are you up to the challenge? A Beginner’s Guide to Improvisation You’re up – think fast! In this session, participants will learn the basics of Improvisation. The week will include a wide variety of games, and activities. Students will use quick thinking skills, develop characterization, learn to work with a variety of people in different situations, speak in front of others and have fun creating new and interesting scenes. 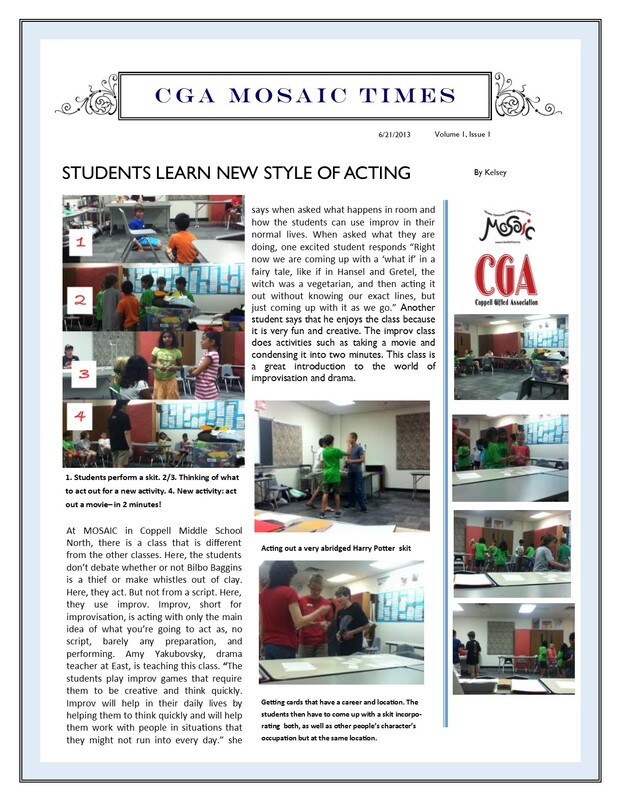 BREAKING NEWS: You are to report to the newsroom this week where you will meet your fellow reporters to tell the top stories of the week and produce the next edition of the CGA Mosaic Times. Reporters will write, take photographs and design the pages of this newspaper. Note: Students are encouraged to bring items such as laptops, cameras, tablets or smartphones if they have access to them. However, it is not required that students have any of these items for the workshop. 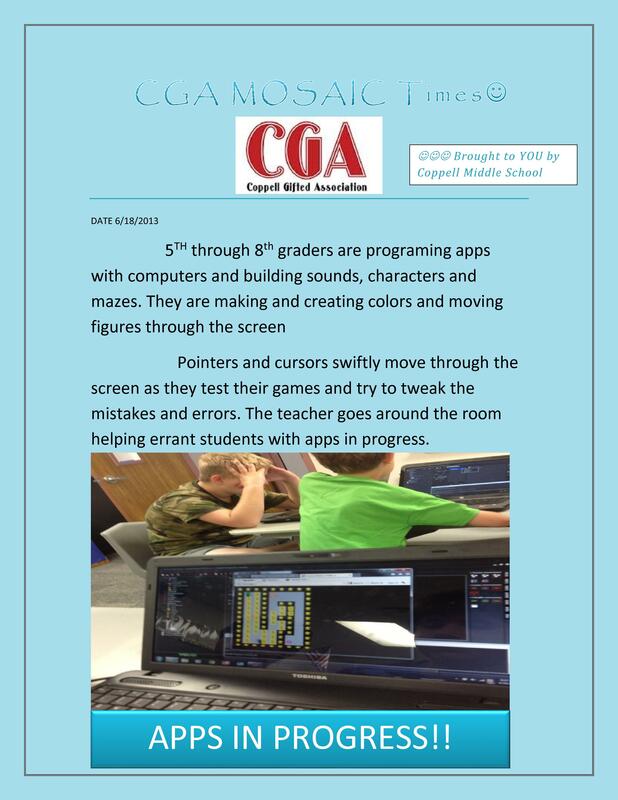 COPPELL, Texas – Come join the digital media age and become part of the CGA Mosaic Student Media team for the week, where you will design a web page, blog, write stories and post photos and videos of the top news of the week. 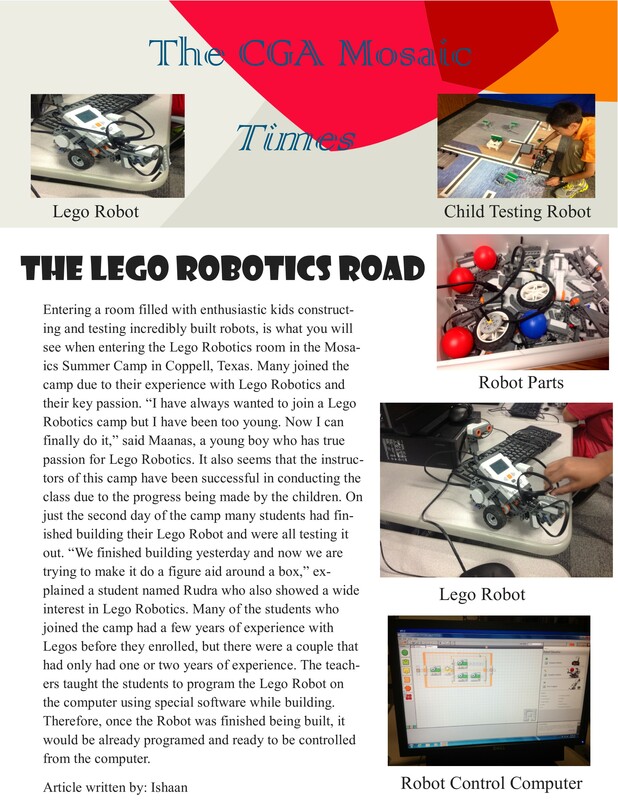 Students will use LEGO NXT Robots to explore the world of engineering by building and operating LEGO Mindstorms software. 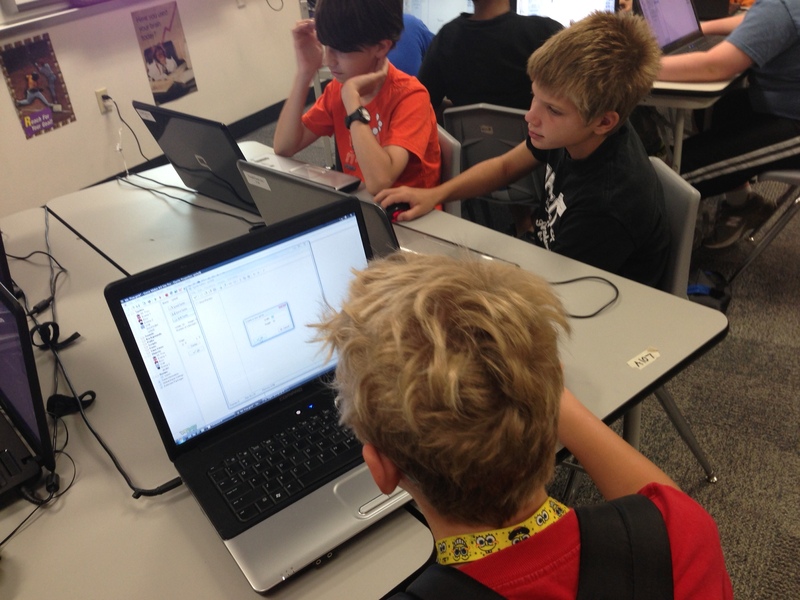 They will work in teams to use creativity and ingenuity to design their own solutions to problems. 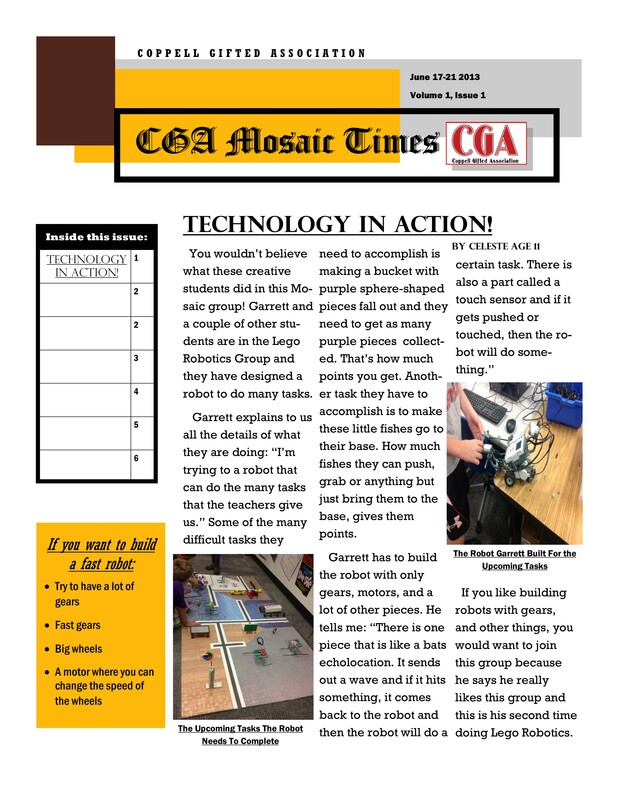 Students who have already participated in a MOSAIC Lego Robotics class (beginner or advanced) are invited to put their skills to the test on a First Lego League game board. Students will learn to evaluate challenges, then build and program a robot that will earn the most points for their team. Your solution might be simple or complex. Your task: create a robot that gets real results. Are you game? Are you the type of person that can’t let a problem go until you find a solution? Do you enjoy a good brain teaser or riddle? If so, then this is the course for you! In this session, learners will apply and develop higher order thinking skills as they tackle advanced level logic puzzles. Get ready to solve, or be stumped, by a variety of fun, unique, and challenging problems. Let the brain exercises begin! Are you the type of person that can’t let a problem go until you find a solution? Do you enjoy a good brain teaser or riddle? If so, then this is the course for you! We will apply mathematical reasoning and tap into our creativity as we tackle a variety of fun, challenging, and engaging logic problems. Let the brain exercises begin! Participants will design and construct a self-mask. These delightful expressions of each person’s personality will be creatively painted and decorated. Students will develop wonderful characters based on their unique masks and perform in assorted scenes and improvisations. A hands-on dramatic experience – perfect for those who love the performing arts! A semi-serious (and, therefore, a semi-humorous) overview of military history from Ancient Egypt through World War II. We will look at how weapons and tactics have evolved over the centuries and the role of technological innovation in these changing military tactics. Bilbo Baggins is on trial for the theft of The Ring, and it is up to you to defend or prosecute him! You will learn about our justice system by evaluating, preparing, and presenting a criminal case based on J.R.R. Tolkien’s “The Hobbit” (Students do not need to be familiar with the book or movie in order to participate). Develop your advocacy skills by learning how to think critically and communicate effectively. 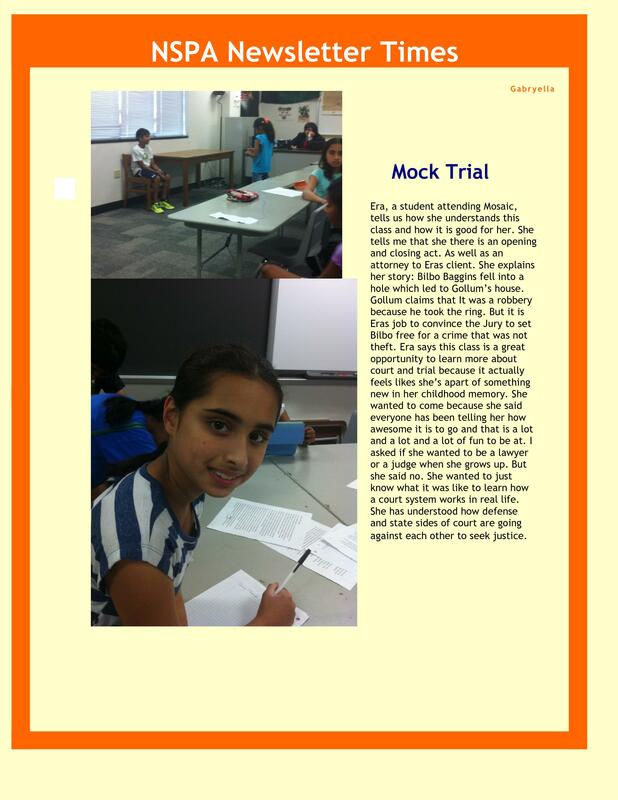 Every student will get to assume the role of a witness AND an attorney in our mock trial which will be held on the last day of class. How did Bilbo acquire The Ring? Will justice be served? Enroll to find out! Explore the art of collage and mosaic while creating colorful and fun projects. Turn layers of various materials (photographs, paper, fabric, drawings, etc.) into interesting collage compositions that are decorative and frameable art. Learn the technique and tools of mosaic using glass, tile and plates to make your unique masterpieces. Bring your creativity and favorite supplies (wallpaper, scrapbook papers, newspaper, magazines, wrapping paper, cardboard, rubber stamps, ink pads, beads, old game pieces, jigsaw puzzles, ribbons, scrap fabric, photos, old hardback books, drawing supplies, and found objects) to create a collection of treasures. Do you want to have worldwide impact? Step into the shoes of a natural disaster rapid response team. What would you do if everything you knew and everything you had was gone in an instant!? The world is on the brink of a major natural disaster, but there’s still time! As natural disasters are always looming and eminent it is vital that we are prepared, not only for the event but the aftermath and critical response and ultimately survival! Step into the world of disaster planning, response and recovery in this week long adventure into real life scenarios where learners will plan and prepare for a natural disaster event, orchestrate the response and report on the issues, and learn the basic survival steps needed to make it after a natural disaster. Design and create puppets, props, and sets, rehearse the play using the puppet stage, and perform a live puppet show. Creativity and excitement will flow as students are exposed to the wonderful world of puppetry! So many types of puppets and so much fun! June & July: 4th-6th grade, 6th-8th grade * Due to the highly experimental environment, class size is limited to 10 students. 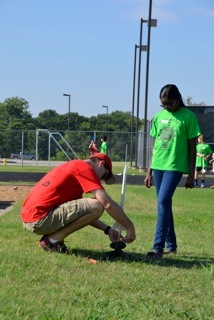 Mission: Design and build your own rocket by applying aerodynamics, measurement and design skills. 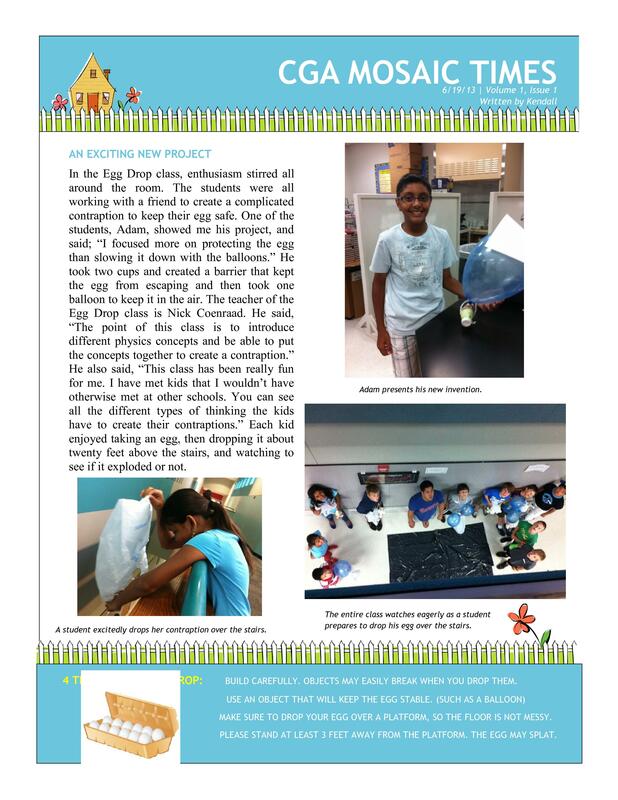 Think beyond commercially offered rocket kits. This class will provide enough parts for each student to build 2-3 rockets from scratch. You will learn and apply the real science and math of rocketry as you experiment with rocket fin size and shape, center of pressure and center of mass. 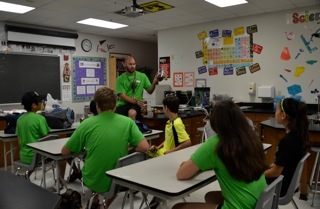 As a final challenge, you will use technology and software to maximize the altitude of your rocket. Reach for the stars! This class offers and interactive look at the world of 3D Game Design. This awesome 3D video game design course offers the chance for students to create and immerse themselves in a 3D world. If you are looking to design professional 3D games that both look and feel just like the ones you play at home, then you don’t want to miss this course. This class is a combination of animation and web design. In this class students will learn the basics of animation and digital design. Students will not only create fun interactive animations but will learn the basics of web design and how to publish their animations to share with the world. This course is perfect for students with a big imagination. click here for a look back into the course description for 2012.